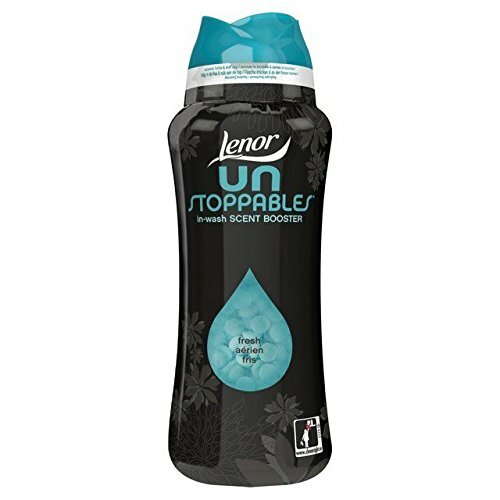 Lenor Unstoppables is an in wash scent booster that keeps going where current freshness fades, letting you experience up to 12 weeks of boosted freshness. * That's because Lenor Unstoppables contains 9x more perfume than fabric conditioner and goes in at the beginning of the wash so more scent infuses into the fabric slowly over time. Lenor Unstoppables should be added to you laundry routine before every wash. Throw the scent beads directly into the washing drum. Add your laundry detergent. Add your fabric conditioner for softness. (*in storage). If you have any questions about this product by Lenor, contact us by completing and submitting the form below. If you are looking for a specif part number, please include it with your message.